Life is awful for a dog used as a subject in laboratory experiments: The only home he knows is a stacked metal cage in a basement lab, the only light he sees is fluorescent, he's never felt a gentle touch or a belly scratch and he associates humans only with pain. "Dogs are commonly used in toxicology testing, which essentially means they are exposed to or injected with certain toxins at increasing levels to determine at what point they become ill," Kevin Chase of the Beagle Freedom Project told The Dodo. "Even if the research is not overly violent, the living conditions are bleak." Hundreds of nameless dogs and cats live like this in the U.S. 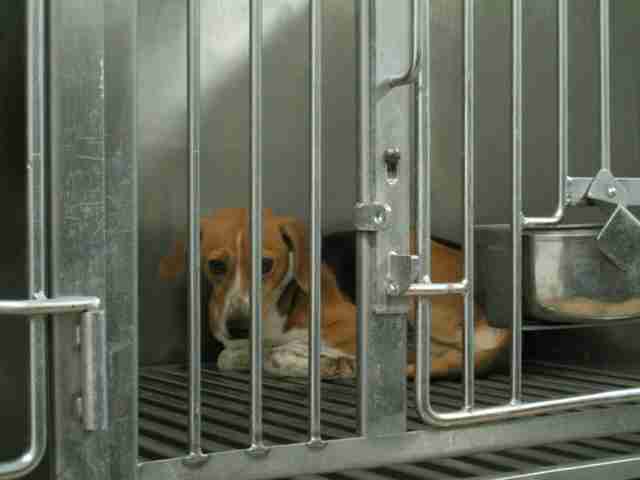 Many dogs used in labs are beagles, whose calm temperament makes them "ideal" test subjects. According to the Humane Society, dogs used in experiments are sometimes plucked from shelters or rounded up off the streets. Sacrificed for science, they're used in experiments until they're no longer needed, at which point they're often euthanized - no chance for a loving family, no sunlight, no belly scratches. The Beagle Freedom Project wants to do something about that. To date, it's helped more than 300 dogs and two dozen cats transition to life outside of labs, finding them forever homes where they get a chance to know what it's like to be loved and cared for. 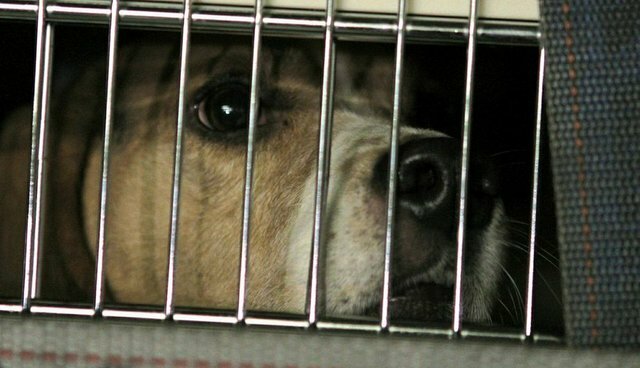 Now the rescue organization has a new campaign they're hoping will save the lives of hundreds more laboratory animals, and it's based on a radical yet simple idea: Adopt the dogs and cats while they're still in the labs. The Identity Campaign, launched Monday, will allow families to adopt a dog or cat who is currently a subject in a lab. 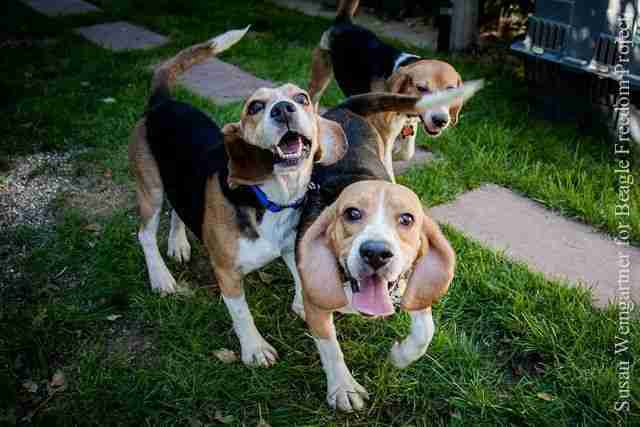 You can now search the records of about 1,000 animals in "taxpayer-funded university research facilities" and pick one to adopt, the Beagle Freedom Project said in a press release. All of a sudden, that animal is no longer just an ID number - he belongs to a family who cares about him and can fight for his freedom. The adoption process costs $50, money that goes back to the organization. After each animal is adopted and named by his or her new human, Beagle Freedom Project will send out an adoption kit, which includes a tag engraved with the animal's ID number, and information on how to contact the lab where he's being held, so that the new forever family can advocate for that animal. For animals who are saved, the transition to life in a loving home is filled with firsts. "Many of the dogs have quirky experiences learning how to climb stairs, walk on a leash, sit on a soft surface, touch the grass and experience the outdoors," Chase said. 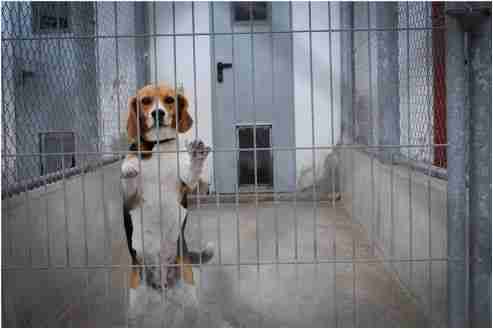 Thanks to the Beagle Freedom Project's new identity campaign, hundreds of dogs and cats trapped in laboratories will have people on the outside, fighting for their freedom. And while they won't know it right away, they're about to have families who care about them, and, for the first time, they'll have names. 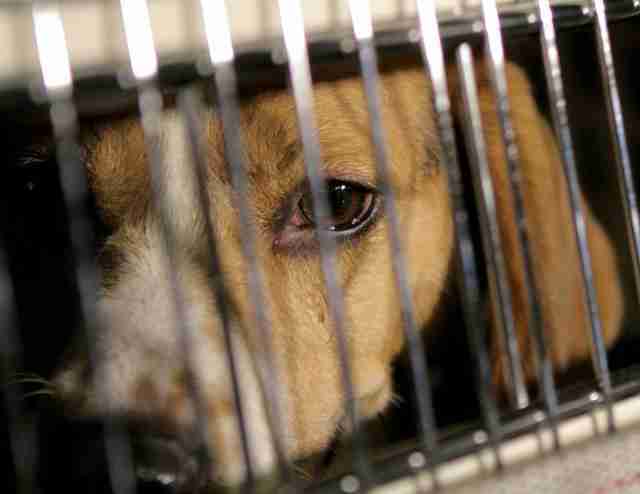 If you'd like to adopt a dog or cat currently being held in a laboratory, learn more here.